TFD is pleased to launch the Co-Chairs’ Summary Report from the recent field dialogue on Tree Plantations in the Landscape in Brazil. We also present a video of the dialogue, which can be viewed below. This Co-Chairs’ Summary highlights the key issues from this ongoing discussion on Tree Plantations in the Landscape (TPL). The Dialogue was hosted by TFD, New Generation Plantations, the Brazilian Forests Dialogue, and the Forest Forum of Extreme South of Bahia from 12 - 16 March of 2018. The dialogue brought together representatives of a diversity of sectors, from tree plantation companies to Indigenous Peoples. 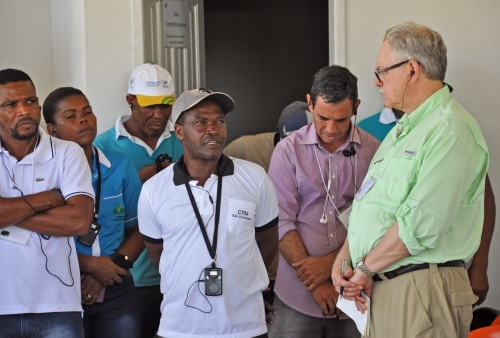 Through two days of field visits and two days of facilitated discussion, the dialogue examined the costs and benefits of tree plantations in the Atlantic Forest landscape through the lens of social, environmental, and economic analysis. The video from the Dialogue can be found here.